For scheduled tours, phone 731-424-0739, 731-234-9813, or 731-423-9140. 3:00 p.m. — Thank you for visiting. We hope to see you at monthly meetings on the third Tuesday at 7:00 p.m.
Special thanks to City of Jackson Mayor Jerry Gist, Gaylon Cooper, Jackson Convention & Visitors Bureau, and many others who support our annual Bemis Heritage Days event and fundraiser. There is no admission charge for this two-day event, but donations are accepted and greatly appreciated. Bring your families and lawn chairs and enjoy the fun. For additional information contact Joel Jackson at 731-424-0739 or joeljackson2@eplus.net. Like our Facebook page: The Bemis Museum. 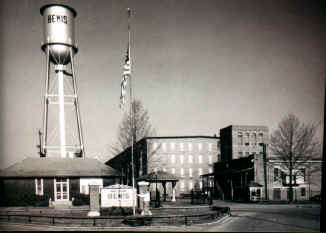 Bemis Historical Society meets the third Tuesday at 7:00 p.m. at the Bemis Mill Village Museum (except May, November, December, January). Annual dues are $25 for an individual or family membership. Can you tell me if Albert Farwell Bemis could have been in Santa Fe New Mexico in 1934? And if so, could he have painted some of the landscape? Good morning! I am the grandson of a long-time worker there at the Bemis Mill – am joining the historical society even though I live in Smyrna, Tennessee. Will be coming over for a visit this fall – would love a tour if your schedule allows. We are certainly willing to help with research, genealogy or any other projects from a distance if you could use the help. One question before I come that I’m hoping you can answer – did the mill provide gravesites to employees for family members in the Bemis Cemetery? Thanks so much – and the check is in the mail today! Great to hear from you. We are so glad to have you become a member of the Society. We are always needing help and I am sure there is something you can contribute from a distance. We look forward to your visit in the fall. The Museum is open every Thursday and on the third Saturday of the month from noon until 4 pm. Someone will be available to provide a tour during those hours or a special time can be arranged for you. The Society has monthly meetings the third Tuesday of the month in the Museum at 7 pm. Maybe your schedule will allow you to attend sometime. 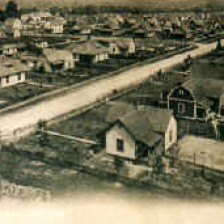 As to your question about the gravesites in the Bemis Cemetery–I am almost sure that all the people buried there had some connection to the mill. As to whether the site was provided by the Company or the family had to pay for it, I do not know but I will find out for you. We look forward to seeing you in the Fall. Thank you! We are definitely coming. And a related question about Bemis – do you know if there was a slow down during the Depression? Would folks working at Bemis possibly have been moved out of their homes? Just another piece of the puzzle for us here. See you soon and thanks so much! I am researching your question about the Depression with some of our older Society members. I will get back with you when I have more info. There is a collection of online photos by The University of Tennessee Knoxville through Volunteer Voices. Search for “Bemis Cotton Mill” through Google to easily find this collection. I would like to know if there is anyway to find out what happened to the pensions/retirements that where not given to employees. My mother in law has been trying to find her retirement funds for the last 10 years and she has not found out anything. Do you know who she can contact on behalf of her retirement funds. She worked for Bemis Mill and Tn Textiles for 20 years. She was there when they shut down the company. We apologize for the late reply and hope your issue was resolved. Check with bemis.com to find contact information for the Bemis Company. Our Society is not affiliated with the company. Thank you. Looking for information on L D Tippett from Bemis, Tennessee. L D Tippett was Killed in Action during WWII. He is buried in the Normandy American Cemetery. Would like to locate a photo of L D Tippett to share with the Cemetery. I have a photo and short video of his grave. Monty, Thank you so much for honoring our US veterans, especially Sgt. L D Tippett. Your photos and videos are wonderful. Is there a list of employees at the Bemis Mill? I am still researching my husband’s genealogy, and I find that my husband’s grandfather was Lonnie Lawson LeFlore, a blower at the mill. My husband’s father, Clarence Albert LeFlore, also worked there at the same time. My husband’s grandfather was born in 1836 and his father was born in 1886. My sister-in-law said she had seen some pictures taken there many years ago. It would be wonderful to have lists of all former employees at the Bemis Cotton Mill, but I doubt that they exist. There are lists of some US veterans who worked at the mill. If your relatives worked at the mill when a US census was taken, their occupation and/or company would be listed on the census. Regarding dues, memorials, etc: Should checks me made out to the Bemis Historical Society, or to the treasurer? Please make checks payable to Bemis Historical Society and mail to PO Box 9266, Jackson, TN 38314-9266. Thank you.